African school uses open source tools and principles to prepare underserved students for future-focused careers. Nairobi's Tunapanda Institute has been using open source tools to provide technology, design, and business training in East Africa since its inception in 2013. Next year the school will launch a "space academy" to inspire young people to think about some of the most critical challenges facing humanity on this planet and beyond. Tunapanda's founders believe that everyone should have the opportunity to help shape the future, and in order for that to happen there must be learning materials and tools that are open, shareable, and unrestricted so that anyone, no matter their financial or educational background, can learn and be inspired. Tunapanda Institute aims to bridge the digital divide by making digital era learning more accessible for young people who have the desire and passion for learning IT but lack financial resources and access to quality training programs. Kenya's growing Information and communication technology (ICT) sector and demand for skilled workers, combined with a large youth population, provides a great opportunity. However, the country's education system lags market needs. Lack of equipment, high bandwidth costs, and a lack of skilled teachers also factor into the equation. To bridge this gap, Tunapanda’s first initiative was "an education on a hard drive." The team set up offline computer labs in rural areas of Kenya, Tanzania, and Rwanda, using a custom modified Edubuntu distribution designed for use in areas where internet service is sparse or expensive. The system was loaded with pre-downloaded software and materials that guided young people through learning pathways that would enable them to earn an income in Kenya’s growing IT ecosystem. Resources included video tutorials, KA-Lite, offline Wikipedia, and training guides for open source software such as Inkscape, Gimp, Blender, Wordpress, and Synfig Studios. The idea was that learners with little to no experience in IT could quickly become proficient in skills such as graphic design, web development, photography, and video editing, while also being introduced to more complex skills such as programming (starting with Scratch and KTurtle). 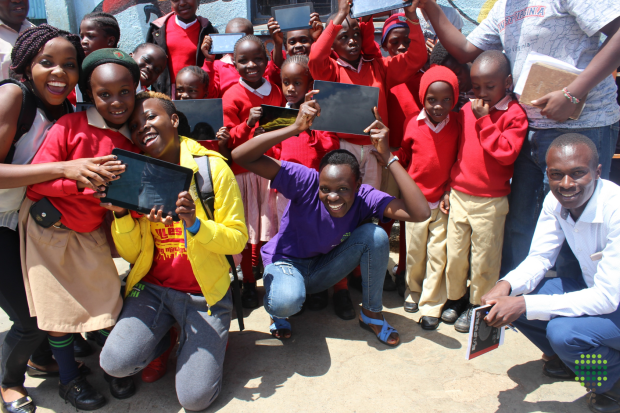 Tunapanda team members regularly do outreach programs in Kibera primary and secondary schools to get kids interested in tech at an early age. It quickly became clear, however, that the available curricula were largely tailored for a Western audience and for college-level learning with long timelines for proficiency. It was also clear that a focus on "soft skills" such as teamwork, communication, and problem-solving was needed (Kenya’s education system is heavily test-focused, valuing individual achievement and rote memorization). Tunapanda realized that it needed to design a new curriculum that was more relevant to the local context. In 2014, the school opened its own training facility in Kibera, Kenya, which has provided more than 200 young men and women with digital-era skills. Nearly 100 additional students have graduated from a partner facility launched by Tunapanda graduates in the Turkana region of Northern Kenya. Graduates have gone on to find employment in tech companies, do freelance IT work, and start their own businesses using the skills they learned at Tunapanda. Since the curriculum and software is almost entirely open source, other organizations have been able to copy Tunapanda’s model (in whole or in part) to bring similar knowledge to their own communities. The organization and training program in Kibera is now operated mostly by graduates of the program. These grads complete an apprenticeship program where they continue to develop skills and teach incoming students while also working for clients on tasks such as building websites and doing user testing, customer research, graphic design, etc. This work helps Tunapanda team members earn an income, and it also helps to sustain the core training program (which is free for learners). The organization runs on Holacracy (based on agile development) to provide team members with opportunities to start their own projects, explore different roles within the organization, and think critically about how organizations of the future can be structured. Brian Mwevi, a Tunapanda graduate and trainer, designed and delivered a robotics course to youth in the community. Following the success of its training program, Tunapanda dreams of building a learning community that doesn’t just adapt to market trends but helps to shape them. 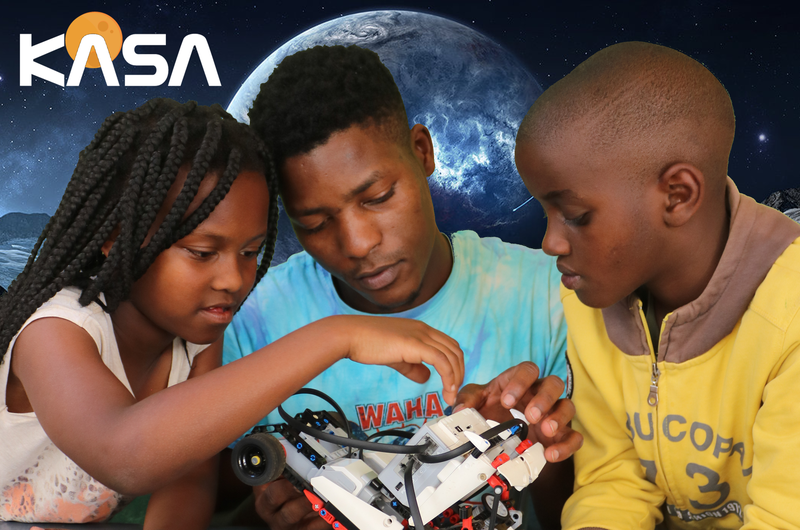 To help address the many important challenges facing local and global communities, Tunapanda plans to open the Kibera Aeronautics and Space Academy (KASA), which will create and deliver curricula based on some of these challenges. All curricula will be openly licensed and free for copy, adaptation, or distribution. KASA will provide hands-on, relevant courses that can teach valuable skills while also offering opportunities for income generation. All of these topics can have an impact on the world today and in the future. Creating a space where students can use imagination and creativity to solve real problems opens new possibilities and enables positive change for learners and communities alike. Tunapanda is raising funds for KASA. If you would like to support this initiative through financial or other means, please contact info@tunapanda.org. Mick Larson - Mick graduated with a BS in Neuroscience and Behavioral Biology in 2008. Since then, he has been traveling, teaching and learning all over the globe. He is the co-founder of Tunapanda, an organization that brings educational content and open source solutions to areas with low internet penetration. He currently lives in Nairobi, Kenya. Especially I'd like to introduce PhET which contains many simulations for different topics on math, physics, chemicals, biology, earth science, ... and so on. They provide offline version (on demand) and we put it into our own ezgo distribution so that kids without internet connections can play those simulations too. That sounds interesting. Would you be interested in writing an article about that for Opensource.com? If you are, you can learn more about how to do that on this page. Okay, Thanks. I'll try my best. Thanks for the article Mick. When working in Kenya I did my best to promote open source software but it was uphill work. The three commonest obstacles that I came across were lack of knowledge, the 'if it is any good why is it free?' argument and the ready availability of bootleg commercial software. This initiative sounds great, it makes a good start at tackling the first two obstacles and Kibera kids deserve a chance.